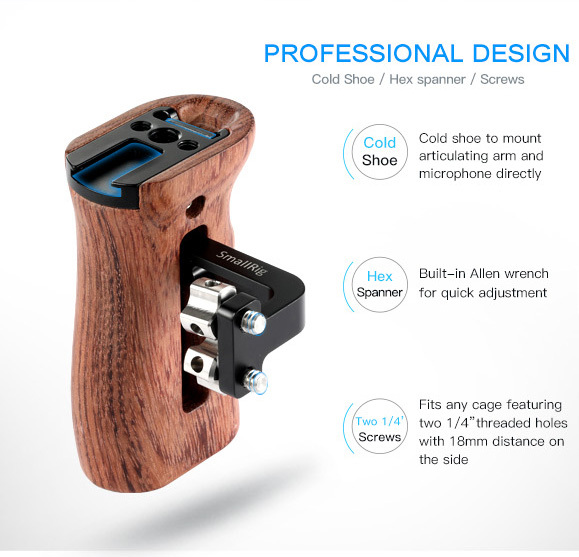 1.Ergonomic side handle for securely carrying hand-held Cameras. 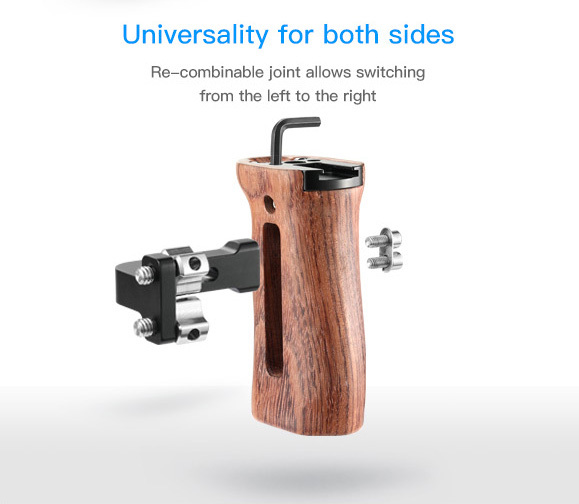 2.Fits for left or right side of camera cage. 3.Features 3/8”-16 and 1/4”-20 threaded holes for magic arm or ballhead attachment. 4.Comes with a cold shoe on the top allows to mount microphone and light. 6.Hex spanner store for storage and quick adjustment. 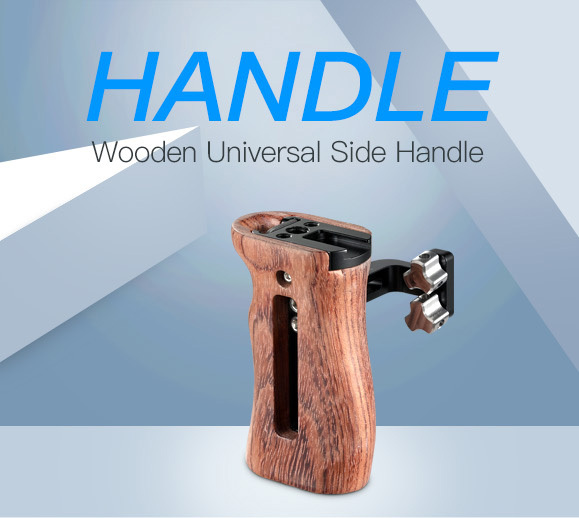 7.The wooden handle integrates with one piece aluminium alloy inside which makes it lightweight and durable. Solid build. Mounts very easily and remains tight on the Nikon half cage. Highly recommend. Sehr gut verarbeitet und sehr stabil, ergonomisch perfekt und angenehm im Handling. Vor allem hat mich beeindruckt, daß der Griff beidseitig am Cage befestigt werden kann. Bereits 4 Tage nach der Bestellung habe ich die Ware erhalten (Deutschland). Guter Preis, bin sehr zufrieden! nice ideas: for both sides, well made details, screws and hot shoe adapter and even allen key integrated. Excellent work. Love it. Beautifully made. Ergonomically correct. Built to last. I can find nothing to fault these units and the company that makes them. BRAVO! Looks like such an amazing design!